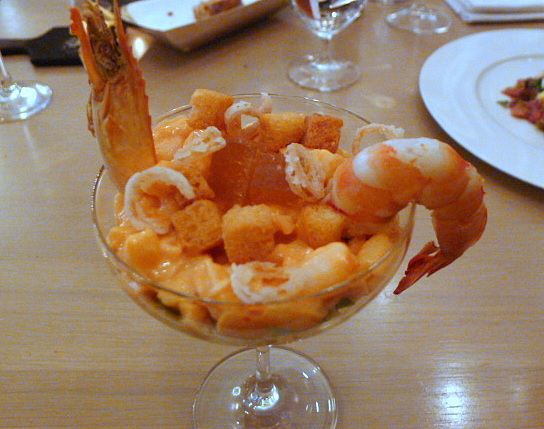 The shellfish in a native lobster and prawn cocktail (£14.50) was lovely and sweet. 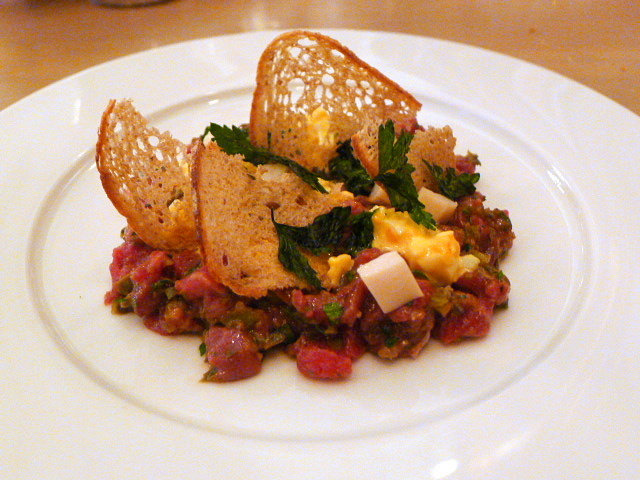 It came with ripened avocado and crispy fried shallots which gave the cocktail a great textural crunch. The cocktail sauce was good, but there was a little too much of it in the dish and it proved to be a little overwhelming against the shellfish. 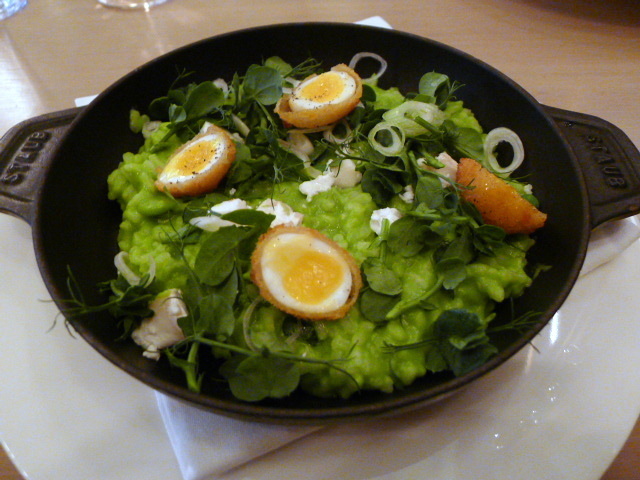 A new season pea, broad bean and goat’s cheese risotto (£19) was really lovely and creamy. There was a bite to the rice, and a fresh pea shoot and spring onion salad served as an accompaniment. Some crispy quail’s eggs acted as a garnish and were delicious with its crispy crumb coating and runny yolk centres. We enjoyed the risotto, but a touch of mint would have further lifted the dish by providing added aroma. 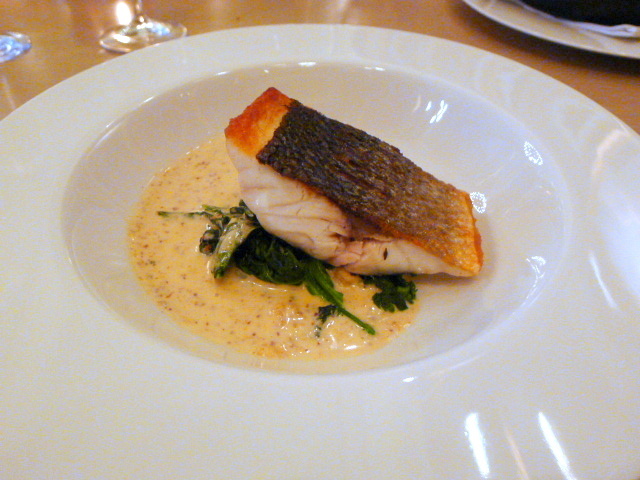 Roasted Cornish sea bass (£29) had been beautifully cooked and was moist and flakey. Accompanying the fish were some brown shrimp, samphire, kale, and a creamy wholegrain mustard sauce which held up well against the fish with its tangy overtones and homely flavours. Although it was a lovely dish, it was also a little pricey for what was a moderately sized plate of food. 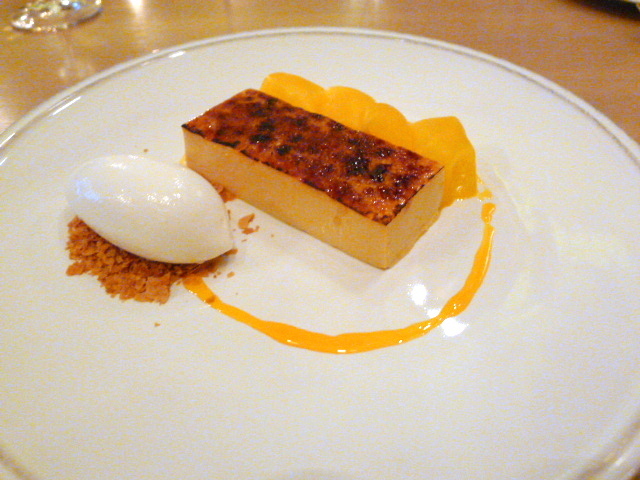 A dessert of toasted coconut crème brulee with pineapple, coconut and Malibu sorbet (£8.50) was absolutely sublime. The crème brulee was luscious with the lightest of textures and a coconut flavour that was both mellow and aromatic. But it was the delicate balance of pineapple, coconut and Malibu in the sorbet that showed both delicacy and precision in its execution. It matched perfectly with the crème brulee and gave it a touch of magic. The caramelised topping on the brulee itself was a little bit bitter, but otherwise this was a glorious dessert. You have to hand it to Jason Atherton – he’s done it again with Berners Tavern. It’s hard to think of a restaurant in London with a more glorious décor and the ability to generate a more glamorous vibe. The food was solid, entirely satisfying and executed with great precision. It didn’t tip the scales in terms of innovation, but it satisfied the belly in terms of high-end comfort factor. The service was delivered with professionalism and diligence. Berners Tavern is a great, albeit slightly pricey number. Prices: £38 to £68 for three courses, excludes drinks and service.